CELSA Group is a company that brings together various steel manufacturing plants in Spain, France, Great Britain, Norway, and Poland. The basis of its business is the manufacture of corrugated steel, steel profiles, steel bars, and steel rods. It has over 9,000 employees (half of these in Spain) and a turnover of 3,383 million euros. To improve the operation of its electric furnaces, in 2017 CELSA contacted IThink UPC, the Universitat Politècnica de Catalunya’s (UPC) consultancy and advanced software services company. 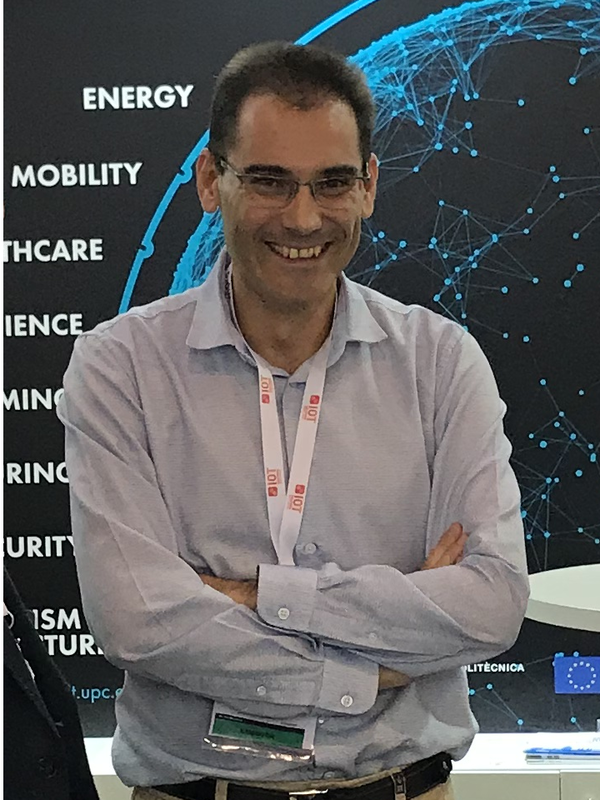 This led to Data Driven Steel 4.0, a smart monitoring system based on an algorithm created by a team of researchers at the MCIA (CIT UPC Member Center) and led by Juan Antonio Ortega, Professor in Department of Electronic Engineering (EEL) of the UPC. The system was presented at the IOT Solutions World Congress 2018. At MCIA we have been working for years on engine and drive diagnostics, leading to the development of monitoring for complex, complete industrial plants. We had experience in similar processes in the companies Gestamp and Lafarga, and together with IThinkUPC we have applied our knowledge to Industry 4.0. This is where the opportunity arose to work for CELSA. Mediation by IThink UPC opened the door to collaboration between MCIA UPC and the CELSA Group. To do what? In production processes, a high number of variables are measured, including temperatures, flow volumes, and pressures. Values are recorded, and historical series are generated. Companies use this information to configure their plants, but results may vary, even when the same patterns are repeated. Algorithms can be used to obtain complex correlations between variables that cannot be detected using traditional monitoring systems. CELSA told us that they wanted to improve the energy consumption of the electric furnace, so we launched the first part of the programme, POWER-EAF. This consists of modelling and continuous monitoring of energy consumption deviations in the smelting process to identify the main causes. CELSA Group is the third largest industrial consumer of energy in Spain. So, any improvement in the electric furnace increases the efficiency and productivity of the process. Yes. This is the first of the analytical projects that we are undertaking for the CELSA group. There are three others: MINIROMBO to characterize the formation of the bars resulting from casting; ZERO-COBBLE to characterize and detect risks of emergency shutdowns; and DEFLECTIONLESS to characterize and continuously monitor problems that cause anomalies in laminated profiles. The use of algorithms enabled the company to interpret in a useful way information that improves performance in various stages of the production process. And to link everything together, because CELSA is tackling a complex process of digitalizing production. They are changing from a model in which each of the plants in the group gathers and analyses its own data independently to a system in which all data are integrated by uploading them to the cloud, where applications are installed for real-time monitoring. The work of the MCIA is based on algorithmics but requires the support of other groups to develop the entire process and make it operational. This is achieved through collaboration with various partners. Data is gathered on an Internet of Things (IoT) platform called Miimetiq provided by the company Nexiona. IThink UPC configures and personalizes this platform to integrate the algorithms, and we carry out the analysis. What point have you reached in the project? We are rolling out the IoT platform and, of the four projects, POWER-EAF and MINIROMBO have the algorithm in an advanced stage. We have obtained initial results, we now know which algorithms will be used, and we have completed pilot tests using historical data. This meant that we could present the project at the IOT Solutions World Congress that has just been held in Barcelona. 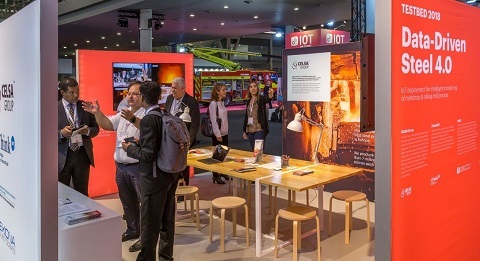 What did participation in an event like IoT Solutions World Congress represent for the group? It was a good opportunity to increase visibility. We were selected as finalists among the ten best testbeds by an international jury and competing against projects from around the world. One factor is particularly notable: we were the only testbed finalist whose project involved the participation of a research centre, all the other projects were associated with companies. Can the model be exported to other industrial processes? Yes. Through previous studies, various doctoral theses and Data Driven Steel 4.0 we have generated our own methodology for developing algorithms for customized monitoring of industrial systems: we know how to address the problem, who we need to speak to, what questions should be asked, what information we need, how to manage this information, and what steps we should take to generate the models. This has enabled us to develop a technology transfer process that led to the creation of a spin-off, Dattium Technology, to develop our offering and support this type of processes. This entry was posted in Sin categoría on 16 November, 2018 by www-citupc.